May 2018. Co-directors Keesing and Ostfeld just published an overview of the Tick Project in the journal Trends in Parasitology. You can read it here. April 2018. Tick season is upon us. Our first biweekly surveys for participants have begun, and yard treatments begin next week. November 2017. Big news. We are happy to report that the first paper from the Tick Project has been published. Led by post-doctoral fellow Ilya Fischhoff, we have found that the use of Met52 (the fungal spray) does not significantly affect the abundance of arthropods other than ticks! This is wonderful news, demonstrating that our treatments really are as environmentally friendly as we had predicted. You can read the study here. October 24, 2017. Co-director Rick Ostfeld is in Washington DC today giving a Congressional briefing on the role of biodiversity in protecting us against the transmission of infectious diseases. July 18, 2017. This Washington Post article explains the role of the white-footed mouse in the ecology of Lyme disease, with the science explained by Rick Ostfeld of the Tick Project. The Tick Project earns a mention as a study addressing the role of mice. June 13, 2017. Tick Project co-director Felicia Keesing was on National Public Radio's "On Point" with Tom Ashbrook today. You can listen here. June 6, 2017. If you're an opossum fan, listen in to Vermont NPR's call-in show on 'possums and ticks with Tick Project co-director Felicia Keesing. You can hear a recording of the show here. April 2017. Big news from the Tick Project. Tick treatments have begun! Our wonderful tick control experts, the team at Pestech, spent last week applying Met52 treatments and deploying rodent boxes in the first round of neighborhoods. The first round of treatments will take about six weeks; the second round will begin in June. Thanks to our participants, our staff, and the amazing professionals at Pestech for getting this underway so smoothly. April 7, 2017. Tick Project co-director Felicia Keesing was on "Science Friday" with Ira Flatow answering questions about Lyme disease. You can hear the spot here. March 31, 2017. 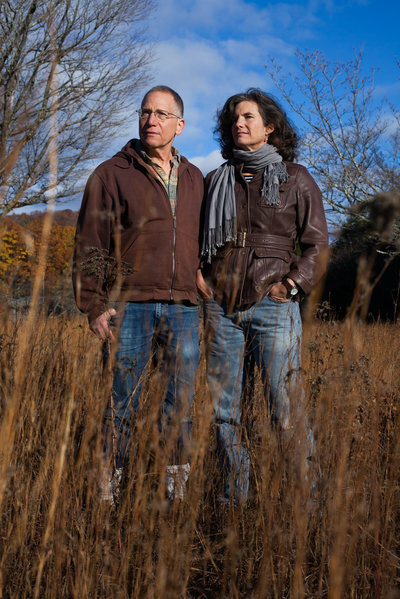 Tick Project co-director Rick Ostfeld is featured in New Scientist magazine talking about why 2017 is likely to be a particularly bad year for Lyme disease in the Hudson Valley. To access the full article, you might need to create a free account for the magazine. March 6, 2017. Tick Project directors Felicia Keesing and Rick Ostfeld, pictured at right, were featured on National Public Radio today for their work on mice, ticks, and Lyme disease. They are predicting that 2017 will be a bad year for Lyme disease. You can read the story here. December 20, 2016. Tick Project director Rick Ostfeld is on the radio show "Pulse of the Planet" today talking about the links between acorns, mice, and Lyme disease. Check it out here. October 26, 2016. Tick Project directors Rick Ostfeld (at right in photo) and Felicia Keesing spent the day with NPR reporter Michaeleen Doucleff (at left in photo), who is doing a feature on the project. Adult ticks were chilly but abundant in the woods today. September 29, 2016. Tick Project directors Rick Ostfeld and Felicia Keesing talked about the project with Jim Metzner from "Pulse of the Planet" today. Good news: A visit to the woods turned up just one nymphal tick. Bad news: Metzner might have been hoping for more excitement. September 6, 2016. Starting next week, participants in the Tick Project will become part of an unprecedented effort to track where and when people get exposed to ticks and tick-borne diseases. We'll be contacting participants via email or text every two weeks during tick season to ask them one simple yes-or-no question about their experience with ticks and illness over the previous two weeks. We look forward to working with the amazing families in the Tick Project as we begin this pioneering new phase! September 1, 2016. If you are a part of the Tick Project, you may have seen some of our crew out in your neighborhood over the past few weeks. We are busy gathering preliminary data about ticks this season. Our crew members would love to meet you -- just say hi and introduce yourself. The actual treatments in people's yards won't start until next spring. You will be receiving an enrollment packet within the next few weeks with more information about timing and other details, a handy Tick Project fridge magnet, and a tick-removal kit with tweezers and a tick identification guide. August 2016. We've now recruited 1100 of the 1200 families we need and settled on the 24 neighborhoods that will be in the project. You can read more -- and see where the neighborhoods are -- in this article in the Poughkeepsie Journal. We are incredibly grateful for the community's enthusiastic participation. June 27, 2016. We've reached another milestone -- we now have 640 families participating, which puts us well over halfway to our goal of 1200. And we hope some of you were able to make it to the Lyme disease forum at John Jay High School this evening, sponsored by State Senator Sue Serino. The Tick Project's own Rick Ostfeld was the featured speaker. June 15, 2016. For the last few weeks, our staff have been calling residents of the target neighborhoods and knocking on doors to recruit people for the study. As of yesterday, we had reached our enrollment targets for two neighborhoods -- one in Poughkeepsie and one in Rhinebeck. Thanks to the hundreds of families who have agreed to participate. If you haven't heard from us but you live in one of our neighborhoods, it won't be long now. We hope you'll join us to figure out if environmental interventions can prevent Lyme disease. May 5, 2016. We're up to 400 volunteers for the project -- all of them living in our target neighborhoods. Tick Project leader Rick Ostfeld discussed this spring's tick season with Bloomberg News. Read the article here. April 29, 2016. Tick Project Directors Rick Ostfeld and Felicia Keesing were interviewed about the project by WAMC's Allison Dunne. Hear (or read) the interview here. The project was also covered by the Almanac Weekly, which did a particularly good job of explaining why we're treating entire neighborhoods. April 27, 2016. Where are the target neighborhoods? You can see a list of our 50 top choices here. Spoiler alert: Poughkeepsie has a lot, but the neighborhoods are located throughout the county. Last week, we sent letters to residents of our first batch of neighborhoods. to let them know about the Tick Project. Since those letters started to arrive last Friday, over 250 families have contacted us asking to enroll in the study. We love this community! April 24, 2016. The National Science Foundation has just released a video of Tick Project leader Rick Ostfeld describing why April -- not May -- should now be Lyme disease awareness month. You can watch the video here. April 22, 2016. The first letters describing the project and inviting residents to participate are starting to arrive. People who have received a letter should expect us to call to talk about the project within a couple of weeks. April 12, 2016. The first press release on the project is now out. You can read it here. And here is a great article about the project by John Ferro of the Poughkeepsie Journal. 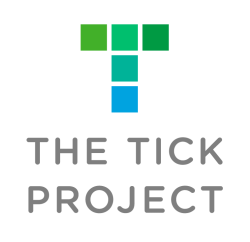 Interested in receiving email updates about The Tick Project?